Despite the weighty allegation of certificate forgery levelled against the Minister of Finance, Kemi Adeosun , and the Chairman of the Special Presidential Investigation Panel for the Recovery of Public Property, Okoi Obono – Obla , President Muhammadu Buhari and both public officials have remained silent , JESUSEGUN ALAGBE writes . Over four weeks running now , the Minister of Finance, Mrs . Kemi Adeosun , has yet to respond to the allegation of forging a National Youth Service Corps exemption certificate . She was alleged to have also skipped the mandatory one-year NYSC scheme . The scheme was set up in 1973 with the aim of using it as a tool for reconciling , reconstructing and rebuilding the country after the civil war , which lasted from 1967 to 1970 . It was established , among other objectives , to develop a sense of corporate existence and common destiny of the people of Nigeria . According to Section 12 of the NYSC Act, for the purposes of employment anywhere in the country and before employment, it is the duty of every prospective employer to demand and obtain from any Nigerian graduate who graduated at below 30 years old a copy of the NYSC certificate or a copy of an exemption certificate from graduates who obtained their degrees at 30 years old or older . Section 13 of the Act states that any person who fails to comply with or who contravenes or abets another to contravene any provision of the Act shall be liable to a fine of N 5 , 000 or imprisonment for a term of three years or both. However , it was alleged that the minister , who graduated at age 22 from the University of East London in 1989 , evaded the scheme and instead presented a fake NYSC certificate of exemption for jobs in Nigeria. The certificate , dated September 2009, was reportedly signed by the NYSC Director – General , Yusuf Bomoi, who had left the agency in January 2009. 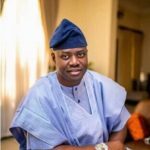 The minister had allegedly used the fake certificate to work in Nigeria, including formerly as Ogun State Commissioner for Finance and currently as the Minister of Finance. This contradicts sections 12, 13 and 14 of the NYSC Act, which is an integral part of the 1999 Constitution . A former NYSC Director -General , Brig . Gen . Maharazu Tsiga (retd . ), and a former Director of Mobilisation , Anthony Ani , had said there was no way the agency could have issued an exemption certificate to the minister since she was not qualified for it , having graduated below age 30. Speaking to our correspondent , a London- based political economist , Mrs . Oluwadara ‘ Boye , expressed surprise that neither Adeosun nor President Muhammadu Buhari had reacted to the allegation levelled against the minister over four weeks after development . “ One would think the minister by now would have resigned from her position or the Presidency , which appointed her in 2015 , would have suspended her , ” ‘ Boye said via LinkedIn . She said the President’ s silence on the issue was more surprising because one of his cardinal objectives during his electioneering was to fight corruption in the country . She said , “ The President’ s quietness is weird especially on such an issue. This is a matter that he should have talked about . This is one area the integrity of those behind the anti – corruption war is being tested . “ By his reticence , he is telling Nigerians, ‘ I don’ t care about your views . I can do what I like’ . This isn ’ t good for his administration ’ s war on corruption . Shortly after the publication of the report alleging that Adeosun possessed a forged NYSC certificate of exemption by an online news medium, Premium Times , the government agency through its spokesperson , Mrs . Adeyemi Adenike , had promised to investigate the claims , but weeks after , the organisation has yet to make public any findings . And rather than address the corruption allegation , the Minister of Information and Culture, Lai Mohammed , later said since the NYSC ( a government – owned agency ) had spoken on the matter, the Federal Government had made known its position on the issue. “ It is perhaps a deliberate strategy to keep mute on the issue. There is not going to be any investigation and no action will be taken against the minister . We already know the President ’ s style , ” ‘ Boye said . Asked what the President’ s “ style ” was , ‘ Boye made reference to Buhari ’ s “sleazy ” handling of officials in his cabinet who had in time past been accused of corruption . She said , “ Let’ s talk about Abdulrasheed Maina, Babachir Lawal , the haphazardly- drawn looters list , and so on, it has been clear right from that time that Buhari has no interest in prosecuting people close to him . Meanwhile , as Adeosun is being embroiled in an NYSC certificate forgery scandal , another appointee of the President , the Chairman of the Special Presidential Investigation Panel for the Recovery of Public Property , Okoi Obono- Obla , has also been accused of possessing a fake West African Examination Council certificate . On June 5 , 2018 while testifying before an ad hoc committee of the House of Representatives , WAEC described as “ altered and invalid ” the result and certificate it allegedly issued to Obono- Obla , raising speculations that he might have forged the result to study law at the University of Jos and subsequently the Nigerian Law School, Abuja . Already , the House ad hoc committee, presided over by Mr. Ahman Pategi , has recommended Obono- Obla ’ s sacking as a Special Adviser to President Buhari and also sought the dissolution of the presidential panel on the grounds of alleged abuse of office by its chairman . The House committee also asked the University of Jos to withdraw Obono – Obla ’ s law degree, having alleged that it was “ fraudulently ’’ obtained . On whether Buhari would suspend or retain his appointee following the House committee’ s report , the Presidency has yet to comment . An Abuja – based lawyer and political commentator , Mr. Suleiman Ali , told our correspondent via an emailed response that the President’ s continued silence on matters that require his response was a betrayal of the trust Nigerians reposed in him . He stated that by his ‘’ silence ’’ posture on such “ grave ” matters , the President was making a mockery of his own anti – corruption war . Ali said , “ There is no anti -corruption war anywhere and there’ s no need to pretend about it . The war died a long time ago when the President started leaving his people and going after mainly his political opponents . “ We are not kids , but Buhari always makes us want to think we are. How could he have kept quiet in the face of big scandals that have rocked his administration ? “ We know Buhari has always forgiven those close to him when they erred , so we should also assume that nothing is going to happen to Adeosun and Obono – Obla . Recently , the National Coordinator of the Human Rights Writers Association of Nigeria , Mr. Emmanuel Onwubiko, implored Buhari to sack from his cabinet anyone found to have presented forged certificates . He said it was perturbing the damage being done to the country’ s image at home and abroad by the President’ s continued silence on cases of certificate forgery by his appointees. Onwubiko said if left unchecked , the Buhari administration ’ s tendency to accommodate persons with questionable academic credentials would rubbish the national policy on education as enshrined in Section 18 (1 ) of the 1999 Constitution . He said , “ The current administration must desist from polluting the international image of Nigeria by tolerating many persons of questionable academic credentials who are working in the Federal Government of Nigeria when there are millions of highly qualified Nigerians from diverse fields searching frantically for employment. The President of the Nigeria Youths Know, a Lagos – based advocacy group , Mr. Emmanuel Olaosebikan, said Buhari ’ s continued silence on the alleged certificate forgery scandals of his appointees could only mean he was aware of the alleged forgeries in the first place. He said , “ I assume Buhari was aware of the fact that Adeosun had a forged NYSC exemption certificate because being the President , he probably wouldn’ t have employed someone who would eventually bring scandal to his government . “ From her state government to the Presidency to the National Assembly, there are those in these circles who would have known that this woman (Adeosun ) forged her certificate . That’ s why Buhari ’ s quietness has lingered . In March 2018 , two prominent Spanish politicians – the President of the Madrid Regional Government , Cristina Cifuentes ; and a Member of Parliament , Pablo Casado – were accused of obtaining their master’ s degrees from the King Juan Carlos University in Madrid without ever attending classes or writing a dissertation . But as soon as Spain – based online newspaper , eldiario . es, broke the story, Cifuentes refuted the accusation and threatened to sue the news website . She then produced a certificate , even though two of the three people whose names appeared on the certificate said their signatures had been forged . Casado also convened a press conference to address the issue, saying that he was not required to attend class or take exams because that was what he was told at the beginning of the programme . 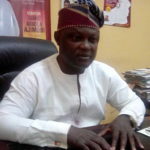 Olaosebikan stated that until Nigerian politicians and government appointees were being prosecuted for acts of deception , the system would continue to linger in corruption . “ If they knew there were consequences for their every action, they would be careful of what they do . But I guess they like taking advantage of our docility , especially of us youths , ” he said. 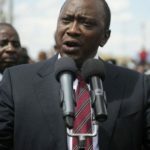 Kenya’s Supreme Courts Annulls Country’s Presidential Elections.